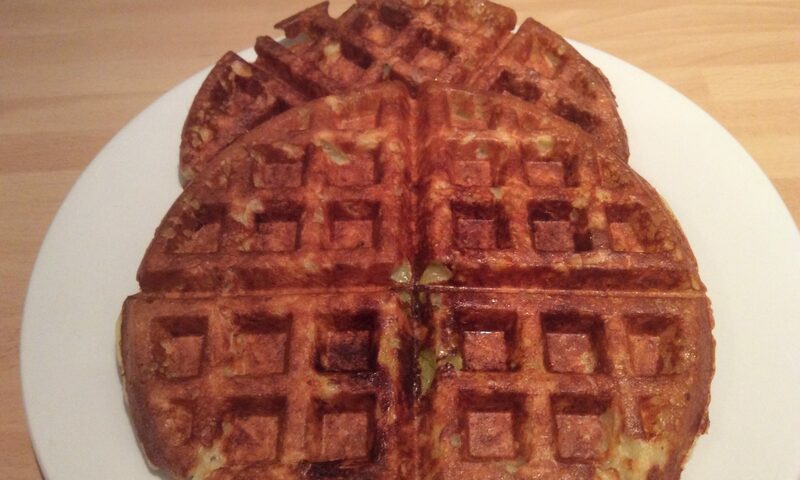 Potato waffles, simple to make with a waffle maker. For a crispier alternative, choose the Crispy Potato Pancakes. In a large bowl, beat together the eggs, flour, baking powder, salt & pepper. Add the shredded potatoes & onion to the mixture. 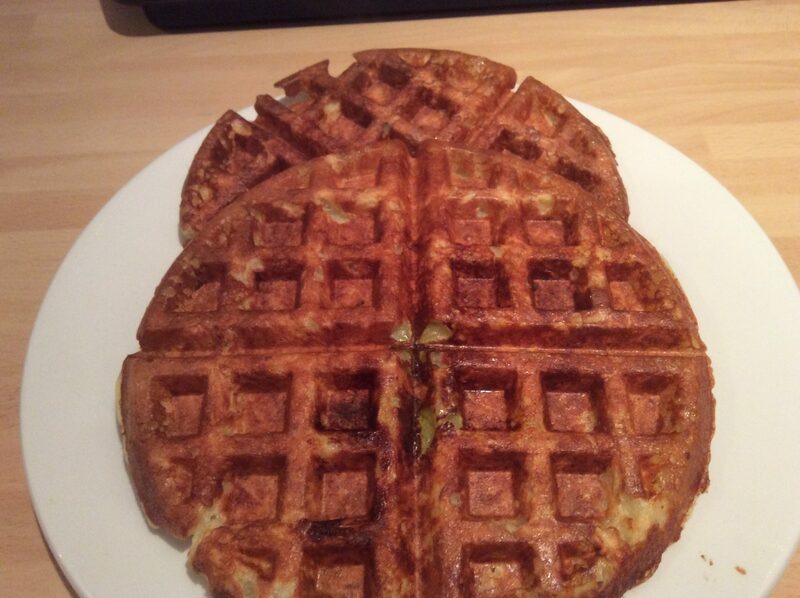 Spray the plates of your waffle maker with a cooking spray. 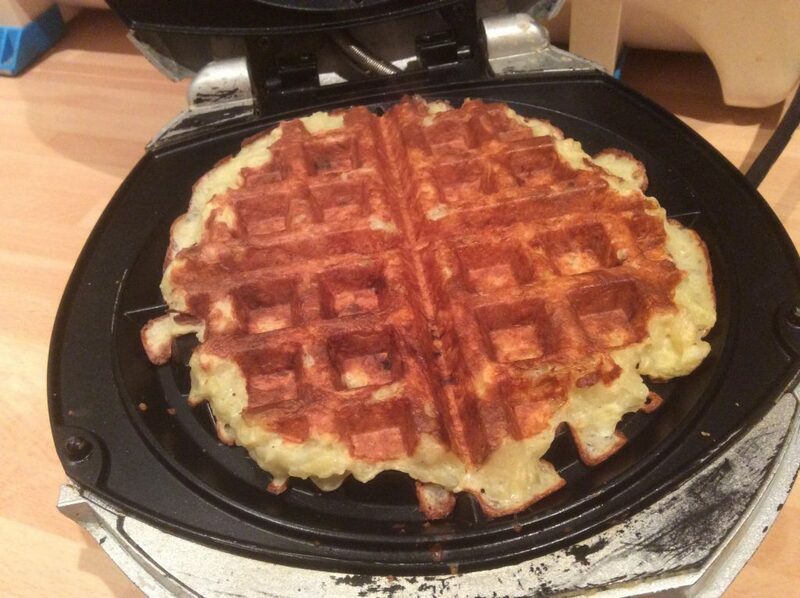 Place sufficient mixture to the base plate of the waffle maker, to cover three quarters of the plate. Allow to cook at the highest temperature. Serve immediately.